Course Website: Official Website - Visit Lookaway Golf Club's official website by clicking on the link provided. 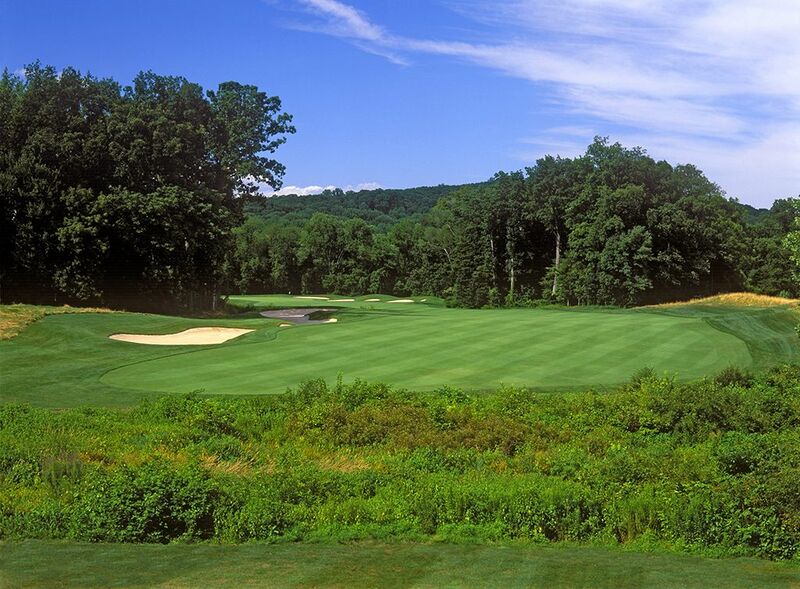 Accolades: Ranked 9th in Pennsylvania on Golf Course Gurus' Best in State list. 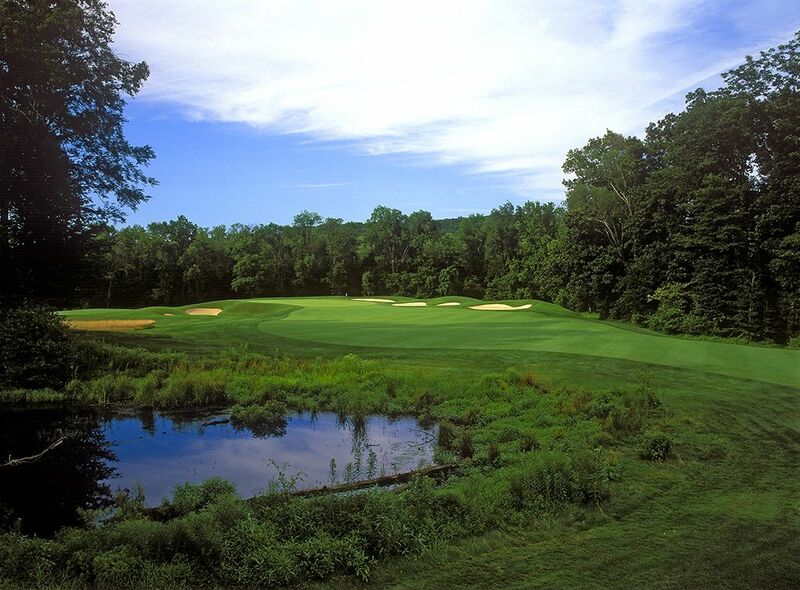 What to Expect: Located 30 miles north of Philadelphia and just 20 miles west of Trenton, NJ, Lookaway Golf Club finds itself in historic Bucks County which is bordered by the famed Delaware River. Lookaway is a Rees Jones design where the club emphasizes two main things; playability and a caddie program. 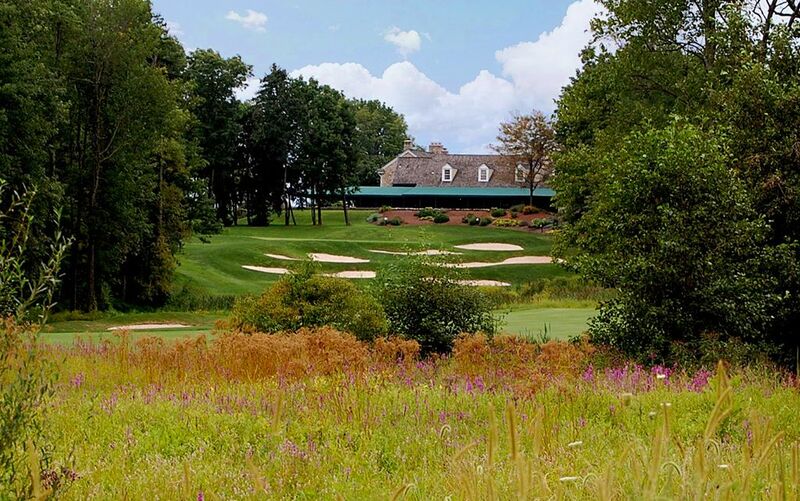 The course is one of the most playable courses you'll find, until you get to the 18th, and thus attracts a membership with a lot more ladies and high handicappers than you'll find at prestigious Philadelphia area clubs Merion and Aronimink. The gentle moving terrain creates a very walkable course and helps the caddie program thrive although players also have the option of riding a cart if they wish. 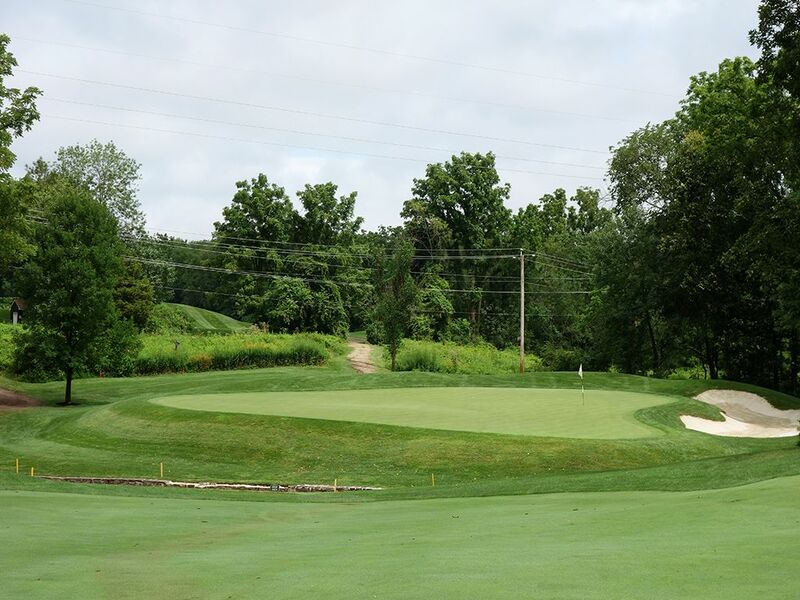 Kudos are given to the course superintendent that keeps that turf in impeccable shape which is aided by the fact that the club invested in sand capping their fairways and greens to improve drainage. Ultimately the course is characterized with the 4th and 7th highlighting the opening 13 holes before Lookaway unveils its impressive five hole closing stretch. In fact, if the entire course were up to caliber with the final quintuple of holes, Lookaway would have an argument of being a top 100 course; but alas, it simply isn't the case much like many other solid courses outside the grasps of greatness. 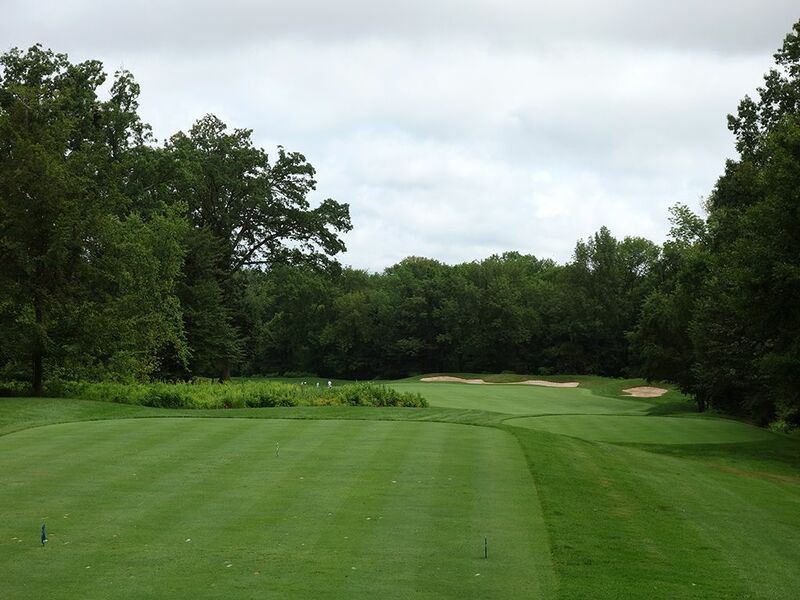 In the end, Lookaway is a good golf course that isn't overly difficult, enjoys nice surroundings, and is a pleasant course to enjoy on a daily basis. Signature Hole: 7th Hole – 399 Yard Par 4 – The best hole on the front nine and one of the signature designs on the property, the 7th hole is a dogleg left with a risk/reward element. A 250 yard drive straight away will tumble your ball into one of the bunkers sitting on the outside corner of the dogleg which begs longer hitters to challenge the trees on the inside corner and cut some serious yards off. A 300 yard downhill bomb over the trees will leave you just a flip wedge over a creek and into the green. 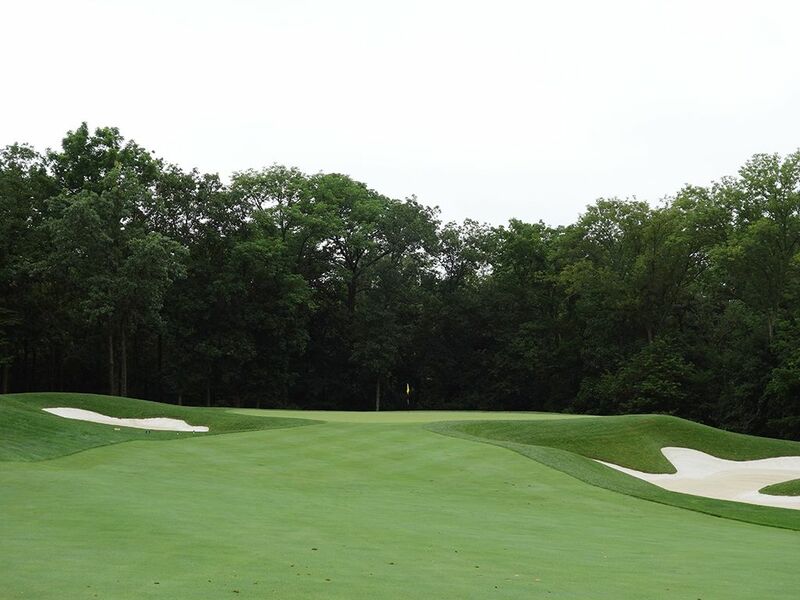 A lone bunker frames the entire right side of the putting surface and stands as the last defense of this hole that patrons look forward to playing each time around Lookaway. Best Par 3: 15th Hole – 170 Yards – Playing slightly uphill, the 15th features a wide but relatively shallow putting surface to attack with a large menacing bunker fronting the entire green. Short and long are both bad misses, so the sacrifice is with accuracy rather than distance control on this one-shotter which makes club selection vital as ever. I really like when a course features at least one uphill par three and Lookaway comes through with this offering; a simple but effective hole as the final par three on the course. 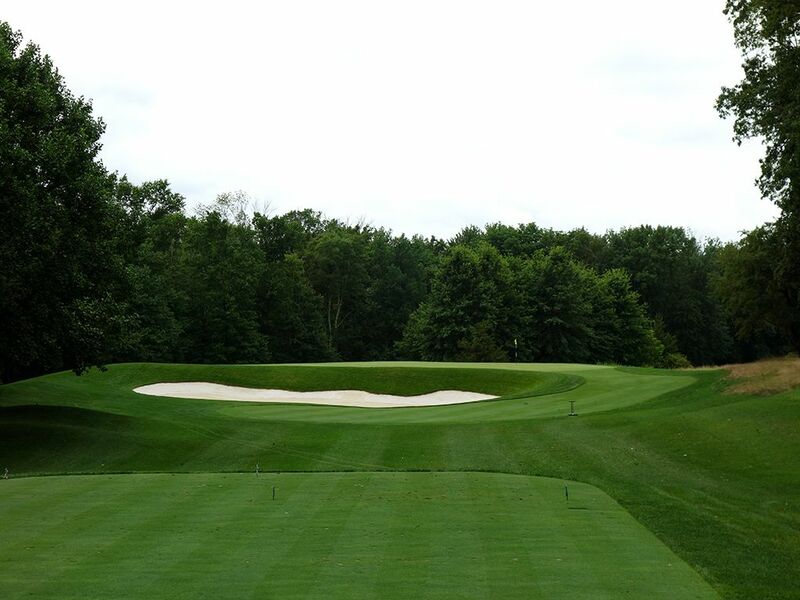 Best Par 4: 14th Hole – 477 Yards – This is where Lookaway gets really good. The impressive five finishing holes kicks off with this stout two-shotter. The tee shot plays downhill to a landing area framed on the left side by a nearly 100 yard long bunker that terminates at a pond. Bailing out to the right will bring the heavy rough into play and potentially block you out from reaching the green in two as trees encroach in from that side. 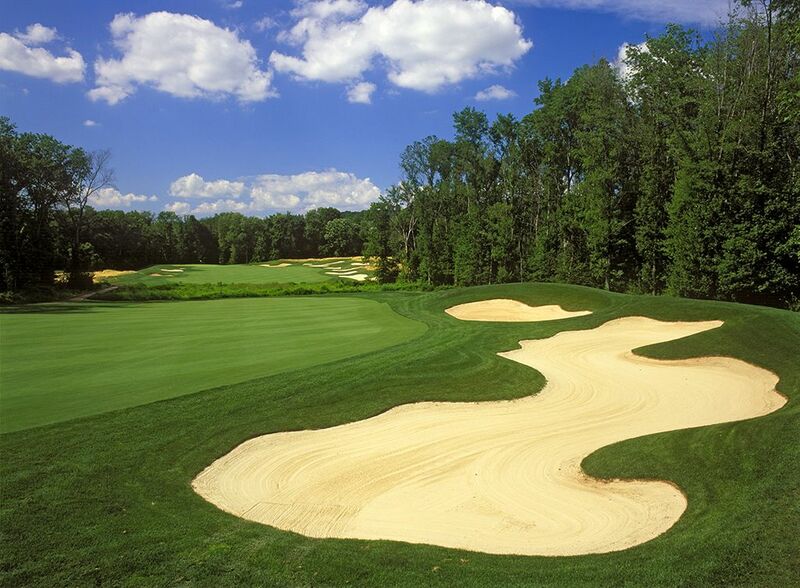 The green is protected by a trio of bunkers on the right and a single sand hazard on the left which leaves a dead straight approach as your only safe play. Pars here are rare, and if you manage to card one, pat yourself on the back and keep your foot on the gas for the final four holes. Best Par 5: 17th Hole – 523 Yards – Lookaway's best par five is also a great chance to card a birdie; gaining a stroke you are likely to give back on the closer. At just 523 yards and doglegging left, this hole can be reached in two for many players. A 275 yard rip towards the left side of the fairway bunkers will keep you short of trouble and open up the ideal angle to the green. From here, less than 240 yards is needed to reach the front of the putting surface. A more aggressive line off the tee will obviously shorten up the approach shot distance which may be a welcome approach considering there are ten bunkers lacing the outside of the fairway enroute to the green. 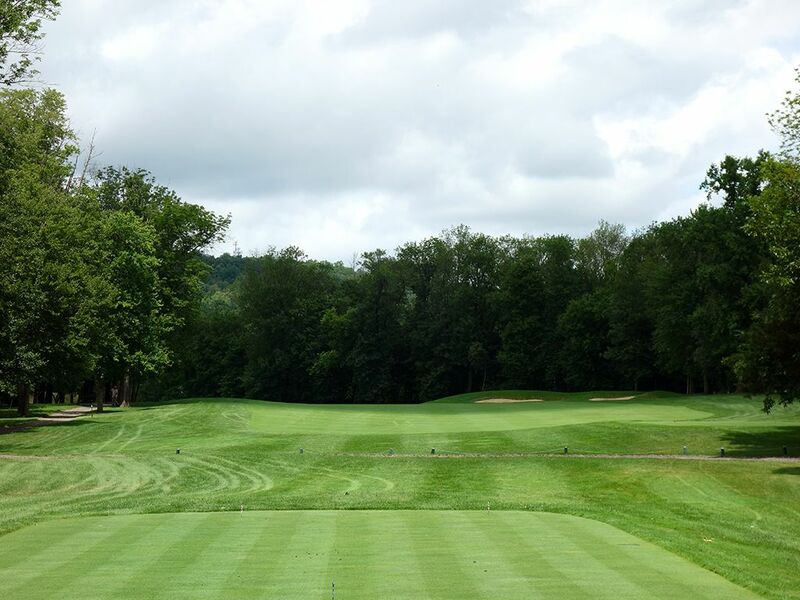 Whether you go for the green in two or decide to lay up, you'll need to carry the environmentally sensitive hazard area that crosses the fairway about 175 yards from the front edge of the green. It is a good scoring opportunity with its fair share of risks to contend with; just what you like to see in a par five. Birdie Time: 4th Hole – 387 Yard Par 4 – The first time that Lookaway really grabs your attention is with the par four 4th hole that bends right from tee to green. 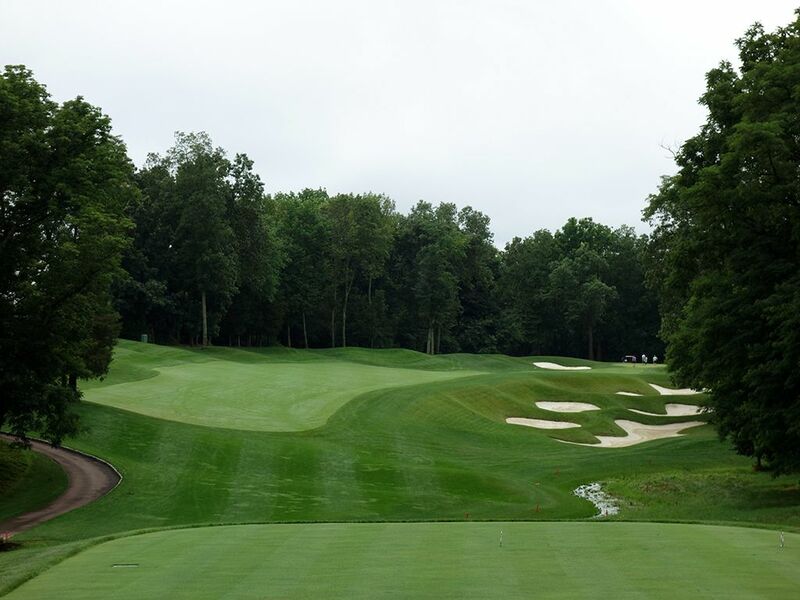 The tee shot plays over a creek where players will want to favor the left side of the fairway in order to avoid the quintuple of bunkers sitting in the lowlands right of the fairway. The short approach shot plays to a large green which greatly increases your chances at a green in regulation. Getting off the tee is the whole key here, once you stripe your drive then a birdie is begging you to come take it. 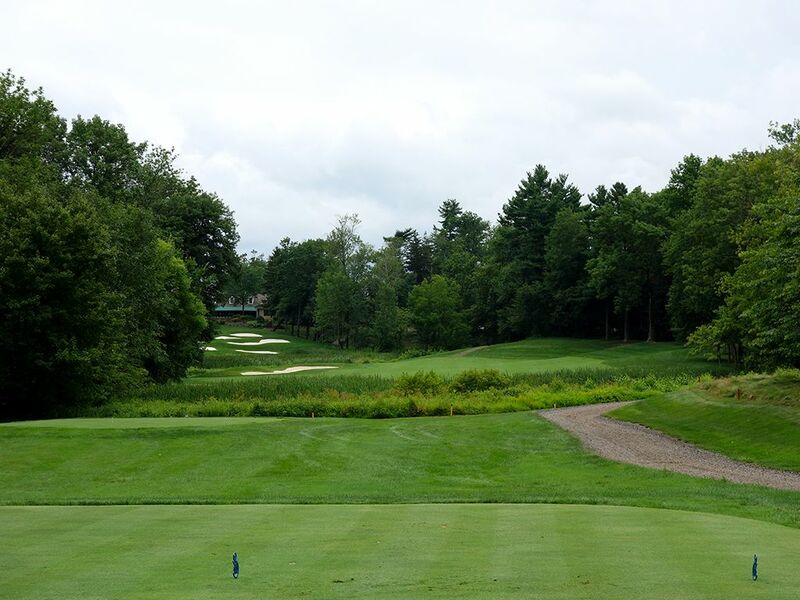 Bogey Beware: 18th Hole – 434 Yard Par 4 – The closing hole at Lookaway is one of the most challenging in the state. While 434 yards doesn't sound too intimidating, players are faced with a tee shot, not necessarily with a driver, to an island fairway before hitting an uphill approach shot over a meadowland to an elevated greensite protected by a collection of bunkers along the hillside. 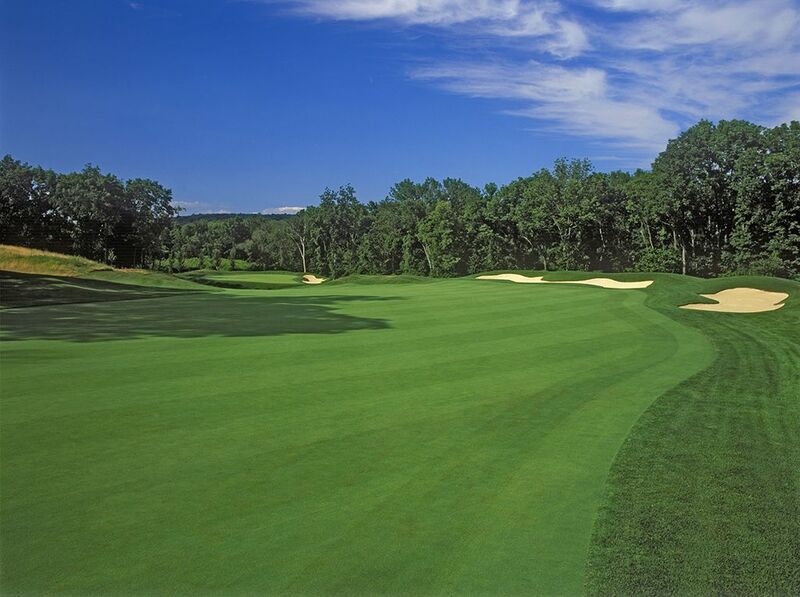 It is the toughest green in regulation for the day due to the severity of the climb to the putting surface, difficulty of judging the distance, and getting your ball to hold the green given the angle of attack. In match play, this is a fine finisher that is a tough to close an opponent out on. In stroke play, this can ruin a good round if you don't respect it.